We’ve teamed up with Ashley, stylist and founder of boutique SIX FEET WITH HEELS. Those who make a purchase will be invited to feature in our #streetstalker series. Previous contributors have included international bloggers thegirlfrompanama, woahstyle and of course sixfeetwithheels to name but a few. Every #streetstalker interview will include a full editorial and instagram promotion which together has a whopping 30k subscribers. Use the code LUXELOVE and follow up your purchase with an email to lornaluxe@hotmail.co.uk to discuss your feature for #streetstalker. 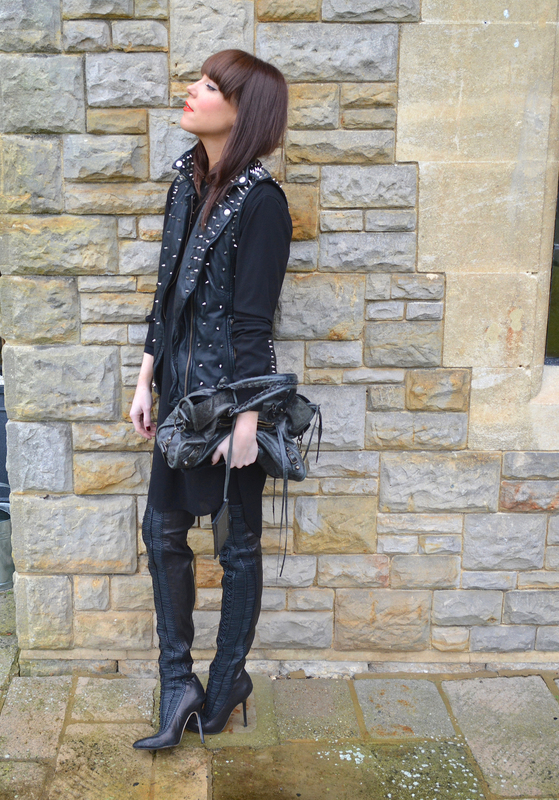 @lornaluxe has started the ball rolling wearing this CUSTOM STUDDED GILET, designed by MUUBAA for KATE MOSS!!! With killer heels it’s the ultimate vest du jour. Returns will be accepted 7 days after receipt of product. Original tags must be displayed in order to receive a refund. All returns must be approved by us prior to the return. Please contact us at info@sixfeetwithheels.com to request Return Approval. When returning goods, please ensure that you enclose a copy your Invoice and clearly mark on the outside of the package that it is a return. Returns should be shipped with a service providing a tracking number and insurance as you are under a duty to take reasonable care of the goods and will be liable for damage to them until we receive them. We are not responsible for delayed, lost or damaged packages. Any returns received without Return Approval or that do not comply with the above may be denied at the discretion of SixFeetWithHeels. In case of dispute, we also recommend you retain proof of sending. Unidentified returns will not be returned to the sender.